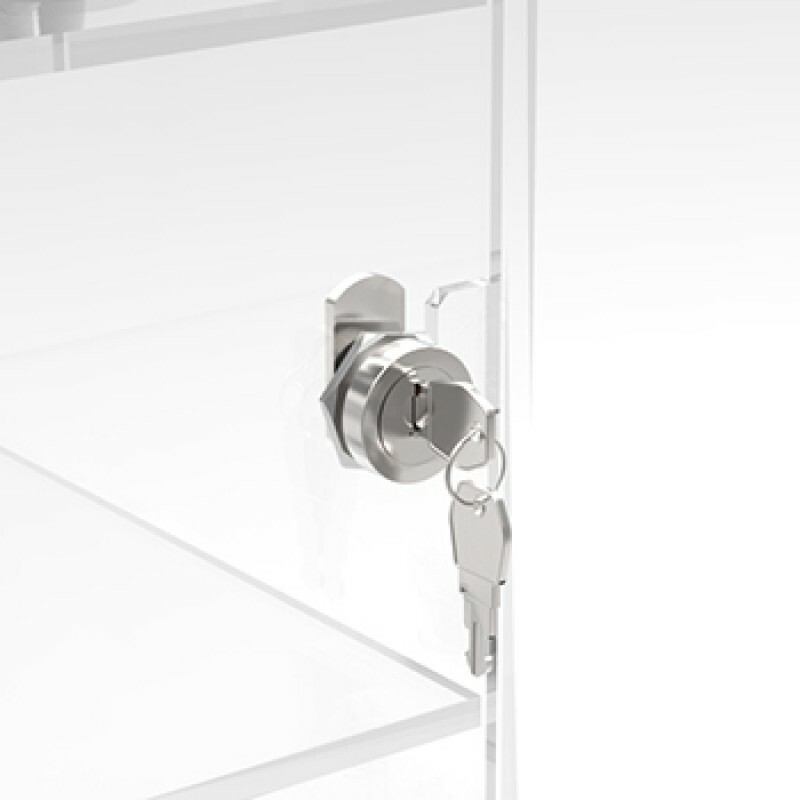 Our standard 350mm High square based display cabinet has a single hinged door complete with a lock and keys. 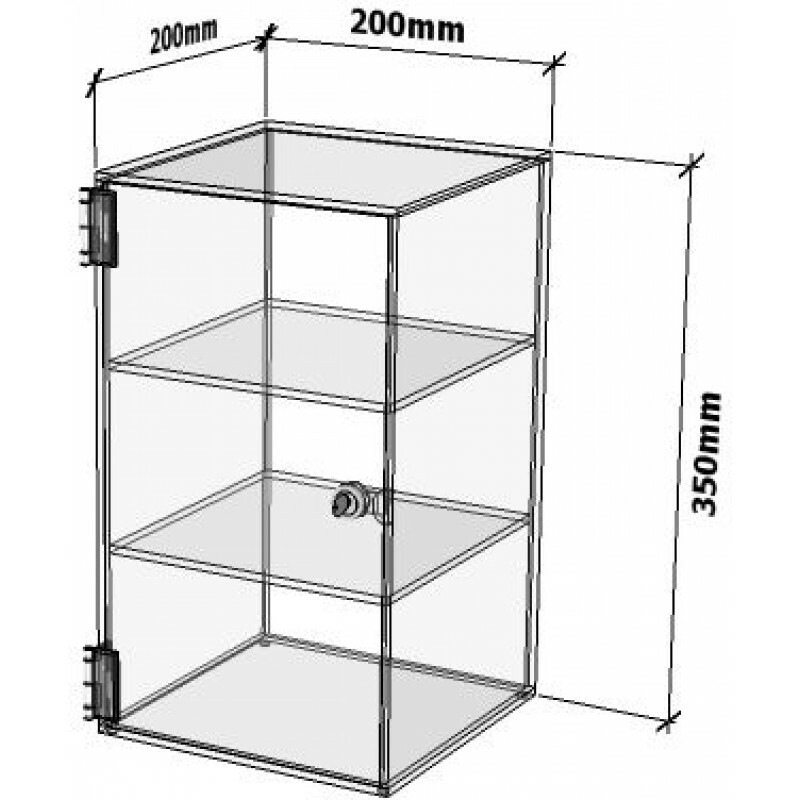 this unit comes with two equally spaced fixed shelves. 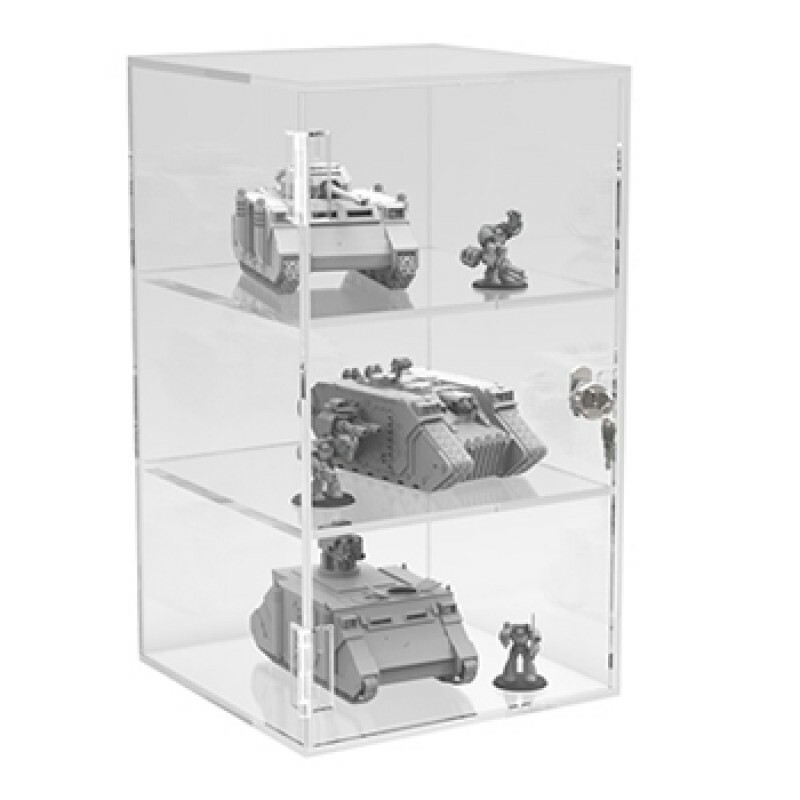 If you are displaying lots of small individual items an additional shelf is available as an option with your order. Our display cabinets have been designed to exhibit a large range of items such as trophies, scale models, sports, film and music memorabilia, antiques and many other collectables.